Our ability to bring the most advanced technological solutions to the market is maintained by our relationships. As the market-leading provider of Network Security Policy Orchestration, Tufin uses policy-based automation to boost security and increase agility for the world’s largest organizations and most complex networks. We are the authorized Distributor Reseller of Tufin – Firewall Management in India. Checkmarx CxSAST is a highly accurate and flexible Static Code Analysis Tool that allows organizations to automatically scan un-compiled / un-built code and identify hundreds of security vulnerabilities in the most prevalent coding languages. We are the authorized Distributor Reseller of Static Code Analysis – CxSAST in India. ARCOS Privileged Access Management / Privileged Identity Management solution is a unique risk-control software, appliance (physical or virtual), and service provider in private cloud–which helps safeguarding privileged identities by monitoring and securing database assets from malefactors. We are the authorized Distributor & Reseller of Arcos – Privileged Identity Management in India. Nessus® Professional, the industry’s most widely deployed vulnerability assessment solution helps you reduce your organization’s attack surface and ensure compliance. Nessus features high-speed asset discovery, configuration auditing, target profiling, malware detection, sensitive data discovery and more. We are the authorized Distributor Reseller of Tenable Network Security – Nessus Professional, Tenable.IO & Tenable SecurityCenter in India. AccessData is the leading provider of E-Discovery, Computer and Mobile Device Forensics for corporations, law firms and government agencies. We are the authorized Distributor & Reseller of Tenable AccessData – Digital Forensics Tools in India. 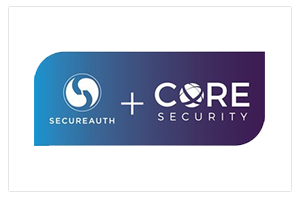 Core Impact is the most comprehensive solution for assessing and testing security vulnerabilities throughout your organization. We are the authorized Distributor & Reseller of Core Impact Tool in India. Burp Suite is an integrated platform for performing security testing of web applications. Its various tools work seamlessly together to support the entire testing process. We are the authorized Distributor & Reseller of Burp Suite Web Application Scanner in India. Smokescreen brings military deception to the digital battlefield with the industry’s most advanced deception technology. We are the authorized Distributor & Reseller of Smokescreen IllusionBLACK in India. CANVAS is a trusted security assessment tool that allows penetration testing and hostile attack simulations to be conducted by security professionals. Our customers currently take advantage of the technology within CANVAS to properly understand exposure and manage risk. Recognized as a best of breed attack framework, CANVAS takes managed computer and network exploitation to the next level. We are the authorized Distributor & Reseller of Immunity Canvas Penetration Testing Tool in India. forensic analysis workstation is the best when it comes to analyzing evidence for a case. This workstation has been designed to sort out evidence more effectively. We are the authorized Distributor & Reseller of Forensic Analysis Workstation in India. We are the authorized Resellers of Netsparker web application Vulnerability Scanner in India. Netsparker can find and report web application vulnerabilities such as SQL Injection and Cross-site Scripting (XSS) and security issues on all web applications and websites. We are the authorized Resellers of BlackBag Macquisition software in India. 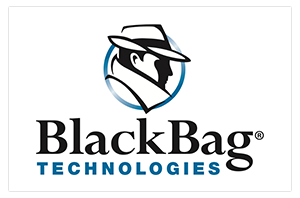 BlackBag MACQUISITION software do three things – data acquisition, data collection, and forensic imaging. Digital Guardian for Data Loss Prevention is consistently a leader in the Gartner Magic Quadrant for Content-Aware Data Loss Prevention (DLP). We are the authorized Distributor & Reseller of Digital Guardian – DLP Tool in India. UFED Ultimate is essentially meant to offer comprehensive and propitious access to a broad range of digitals services. With an uncompromising emphasis on deciphering data in order to come across evaluative evidence, UFED Ultimate bores deep into each and every sinew of investigative endeavor.. We are the authorized Distributor & Reseller of Cellebrite UFED Ultimate in India. WebInspect tool is one of the most advanced and leading security assessment tools designed to analyse all the applications and services for any security flaws and breaches. We are the authorized Distributor & Reseller of Fortify WebInspect Tool in India. Barracuda Networks, Inc. is a company providing security, networking and storage products based on network appliances and cloud services. We are the authorized Distributor Reseller of Barracuda Networks – Next Generation Firewalls in India. Atola Technology is a leading developer of hardware-based evidence acquisition tools for global digital forensic markets. We are the authorized Distributor Reseller of Atola technologies – Atola Insight Forensic & Atola Disk Recycler. Hewlett Packard Enterprise (HPE) offers worldwide IT, technology & enterprise products and solutions. We are the authorized Distributor & Reseller of Hewlett Packard Enterprise in India.